— A twin pair of the world's first reusable rockets have been donated for public display in California, including parts that lifted off on the first launch to use flight-proven booster components 35 years ago. 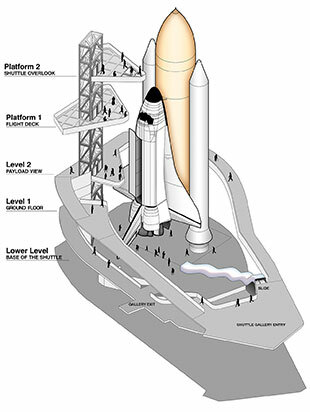 The California Science Center in Los Angeles will display two flight-worthy solid rocket boosters as part of its vertical exhibit of space shuttle Endeavour, planned to debut to the public in 2019. The solid rocket boosters (SRBs) are being donated to the Science Center by NASA and Orbital ATK, the contractor for the 149-foot-tall (45 meter) rockets. "We take great pride in our 30-plus years of participation in the space shuttle program," said Charlie Precourt, the vice president and general manager of Orbital ATK's Propulsion Systems Division and former space shuttle astronaut. "We are honored that we can contribute to this amazing exhibit at the California Science Center." Orbital ATK formally announced the donation, first reported by collectSPACE in January, in a press release issued on Tuesday (March 28). The news came two days before the scheduled liftoff of the first flight-proven orbital rocket since the shuttle-era boosters last flew. 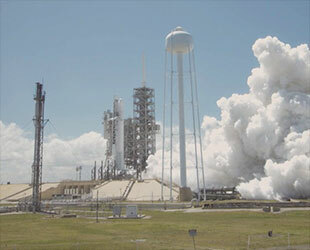 SpaceX is attempting the first reuse of one of its flown Falcon 9 first stages with the launch of a SES geosynchronous communications satellite on Thursday (March 30). "[As] the first commercial satellite operator to launch with SpaceX back in 2013, we are excited to once again be the first customer to launch on SpaceX's first mission using a flight-proven rocket," said Martin Halliwell, chief technology officer at SES, in a statement. Unlike Orbital ATK's rocket boosters, which were reused in segments, SpaceX's Falcon 9 first stage will be re-flown as an intact vehicle. "There's no reason we could not have re-flown all the SRB parts as complete units other than there was no need to and it was easier (for us) the way we did it," said Dennis Jenkins, a former shuttle engineer who is now leading the development of the California Science Center's Endeavour exhibit in the future Samuel Oschin Air and Space Center. 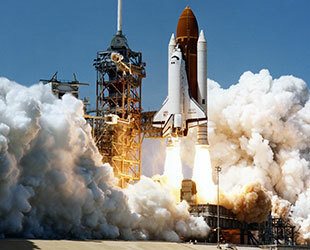 The second launch of the space shuttle Columbia, STS-2 in November 1981, established the winged orbiter as the world's first reusable spaceship. 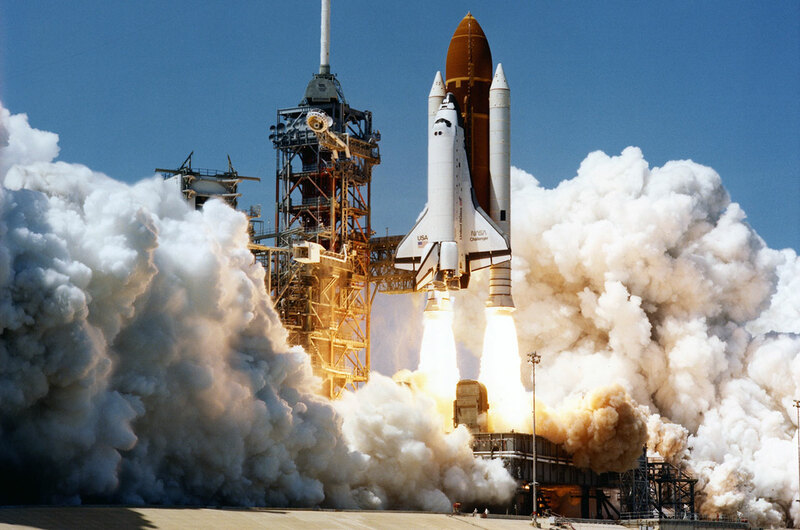 But it was not until April 4, 1983 that SRB components flew again, helping to provide the thrust for the space shuttle Challenger's maiden launch on the STS-6 mission. The frustums, which sat below the nose caps, and forward skirts on both the left and right STS-6 boosters had earlier flown on STS-1, the first space shuttle launch, on April 12, 1981. 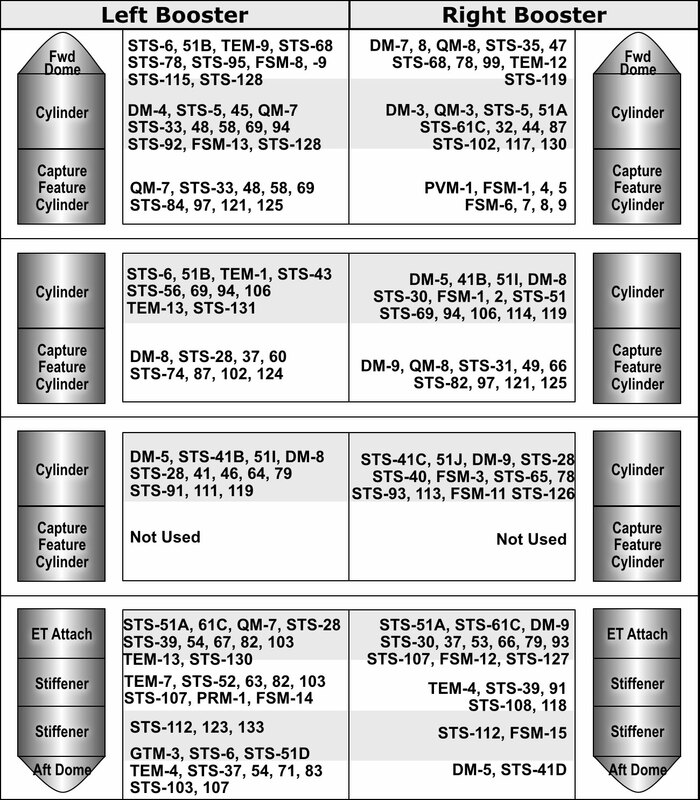 In addition, the uppermost cylinder on the right STS-6 SRB had also flown on Columbia's debut mission. The two boosters being donated to the California Science Center include components that launched 81 space shuttle missions, including a forward dome and upper cylinder that were used to launch Challenger on STS-6. 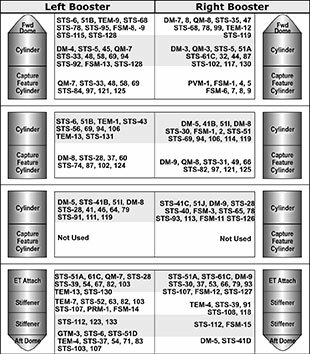 The hardware for the two SRBs destined for Endeavour's display was used on a number of history-making missions, including STS-5, the first operational flight of the shuttle; STS-31, the launch of the Hubble Space Telescope; STS-49, the maiden mission of Endeavour; STS-107, the final, ill-fated launch of Columbia; and STS-118, the Endeavour mission on which the orbiter's exhibit is based. Though not the only shuttle-era solid rocket boosters to go on display, Orbital ATK's donation of the SRB hardware to the California Science Center is a rarity given NASA's on going need for the boosters. The space agency is planning to use a pair of extended boosters for its heavy-lift Space Launch System, but as expendable vehicles. They will not be recovered for further reuse. The California Science Center's rocket booster display will be just a short distance away from SpaceX's own exhibit of its first flown and recovered Falcon 9 first stage. To date, SpaceX has recovered eight of its Falcon 9 first stages, using the booster's own engines to propulsively fly the spent stages after launch to a landing on ocean-based drone ships or on a land-based pad. 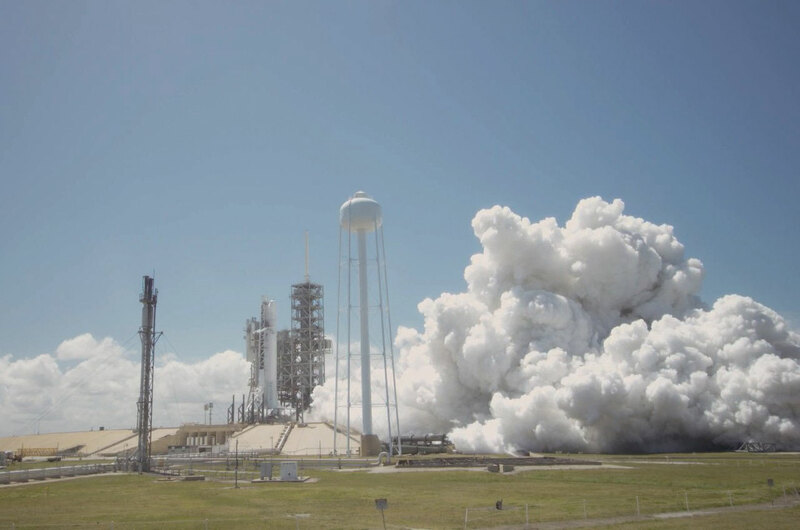 The stage chosen for SpaceX's first re-flight was earlier used to launch a Dragon cargo spacecraft to the International Space Station in April 2016. After recovering the stage, SpaceX returned the booster to its manufacturing facility in Hawthorne, California for four months of refurbishment and delivered the rocket to its site in McGregor, Texas for testing. The company has not said if the vehicle launching on Thursday is flying with the same set of nine Merlin engines that were flown last April, or if any other components on the stage were replaced. The effort to reuse rockets, whether they were the shuttle's SRBs, Blue Origin's suborbital New Shepard or SpaceX's Falcon 9 first stage, is aimed at cutting the cost of access to space. A 1989 study found that using refurbished SRBs cost the shuttle program 42 percent of new hardware, but that figure excluded the cost for the boosters' recovery and the infrastructure needed to support their reuse. SpaceX has not disclosed its cost for refurbishing the first stage, but industry officials estimated that the reuse of the vehicle for this first launch would save 30 percent.